I could never be on a debate team, or consider being a trial lawyer. My heart couldn't take it. The obviously calm demeanor it takes to be a trial attorney (Alan Shore's emotional diatribes on Boston Legal notwithstanding) would be hazardous to my blood pressure. This morning I had the distinct unpleasant experience of watching the arguments before the California Supreme Court regarding the repealing (or not) Prop 8, the gay marriage ban which passed last November. I'm not an attorney and so my brain does not understand the subtleties of the legal mind. I hear these phrases like "suspect classification" bandied about with regard to the gay community and I'm already fuming. I hear Ken Starr talking about the diminution of equal rights for gay people and I want to scream. How smoothly he talks about the existing marriages and says that yes, they will still be married -- their marriages just won't be recognized or acknowledged in the state of California...but if they go to Massachusetts, they can still be married. They just can't be married in California. Slimy guy. Every time somebody makes a statement "for the sake of argument" I want to jump up and say "but...! but...! but...!" When the judges talk about domestic partnership and how they maintain "most of" the rights of marriage, I want to jump up and scream how "most of" is not equal to "all of." I want to point out how it is NOT equal when you have to pay an attorney to assure that all of those "most of marriage rights" will be permitted. I realize that the only way to approach the court is officially and with the extensive use of previous cases and the like, but for every argument that is made, I see faces of gay couples -- my friends -- who will be affected by conceding that the heterosexual population of the state of California had the right to make decisious about the lives of the homosexual population. 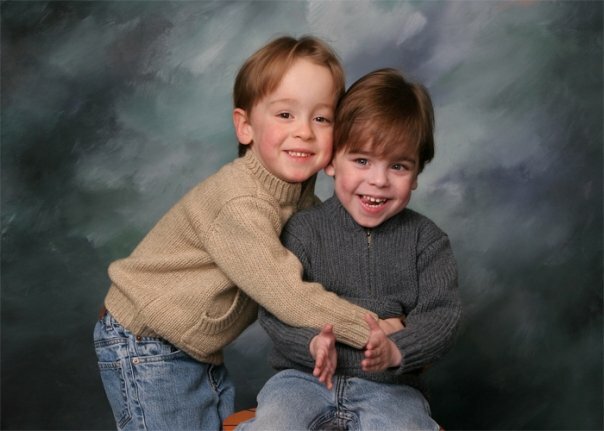 and think about their two moms and how if their marriage is invalidated, they can only have one mom and that the other mom will have no right to make decisions about their school or their health care (particularly important since these two boys nearly died at birth and one of them still has ongoing health problems...if the biological Mom is out of town, legally the non-biological Mom would have no right to make decisions about health care). and how many times I've been through elation and depression with them. 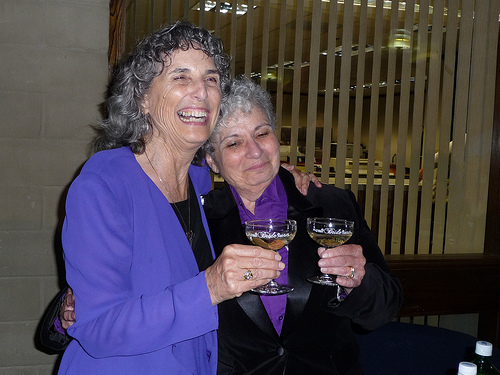 I think of the beautiful statements they made at their wedding reception and how happy everybody was that day, as the huge crowd that jammed into the Veterans Memorial building, gay and straight, cheered. 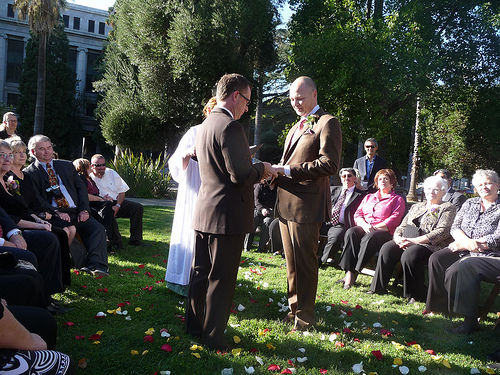 and the beautiful wedding ceremony on the Capitol grounds in Sacramento and Craig's assurance that "this is forever." He didn't think it was "forever, until the court changes its mind again." I think of the 18,000 couples who married in California, now in danger of having their marriages declared not "acknowledged or recognized in California." The ability to marry the person you love is a fundamental right (my friend Olivia has made the legal importance of the wording abundantly clear) and when the majority takes away the fundamental rights of the minority, it's just not right. 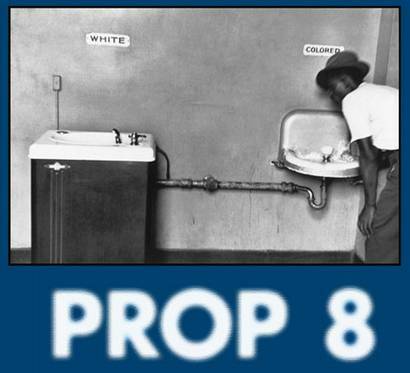 May the California Supreme Court do the only fair thing and strike down this hateful law. In the meantime, I may have to double up on my blood pressure medication!